Is your car stranded in the middle of nowhere? Call us for a fast and relieable towing service. 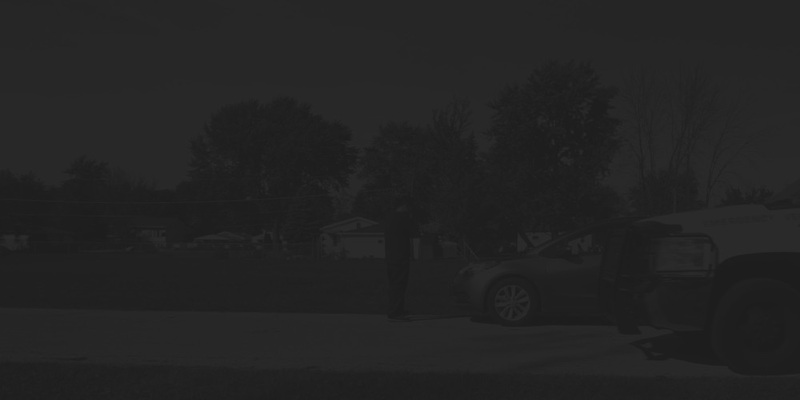 Best towing rate in the Plainfield area, Guarantee! Imagine this: Your son’s baseball game is set for later that day and when you leave work you find that you have a flat tire. Or possibly this: You have a very important appointment with a prospective new client and you find that your battery is dead and your car won’t start. Or you are involved in a fender-bender around Plainfield and need your car towed to a repair shop. Any one of these situations could ruin a person’s day and be devastating to your family’s happy life. With all the stress we find in a typical day, who needs problems with their car to complicate matters and even result in a loss of income if your car is out of commission for any length of time? 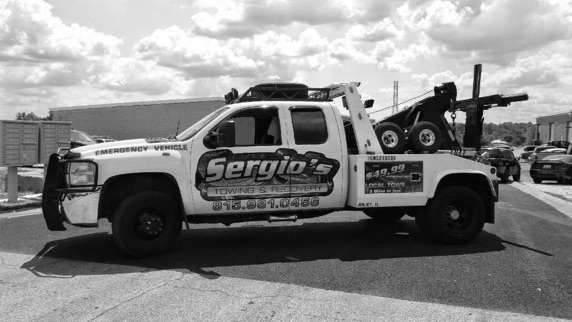 Sergio’s Towing & Recovery is a registered towing company dedicated to your roadside safety and providing years of experience of quality roadside assistance and towing. Auto emergencies can happen to anyone, anywhere and at anytime and our professionals are dedicated to provide excellent towing services and roadside assistance that will fit your circumstances and the vehicle that you are driving. We can either get you to a mechanic or be able to help you on the spot. You can be confident that you are in expert hands with us knowing that all drivers are licensed, insured, and certified. You will find that our dispatchers are polite and helpful and will do all that they can to get a truck out to you as soon as possible so that you are not stranded. Our tow trucks are constantly monitored and maintained to ensure the highest quality of service. 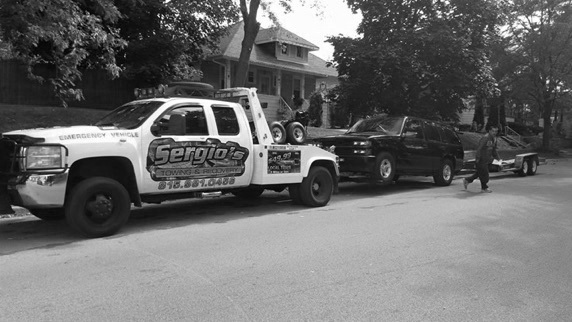 Sergio’s Towing & Recovery providing service to the Plainfield, Illinois area 24/7/365 days a year towing services. Whether it is getting back into your locked car, fixing a flat tire, or jump starting a dead battery we will provide each circumstance with the most effective, reliable and safe solution.